Chinese Wedding Stage originally uploaded by TanzimSaquib. Now, we've addressed red before in terms of Red Carpet Treatment and even with ideas to Create Your Own Red Carpet Experience! Here, though, we take a different approach. A global approach to red. While we often say our world is shrinking and melding, in the world of color each family often has regional and cultural differences. Frequently color has very different meanings in different cultures – yet, other times the significance of a particular color has transcended cultures. Think about the color red. What comes to mind?? Blood – power -- love – danger – excitement – fire – fast sports cars? The thought of red can even elevate blood pressure and activity levels. Thus, in Western culture, red is often used in fast food restaurants to motivate patrons to eat quickly. London's Moving History originally uploaded by canadian pacific. 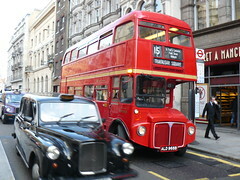 In England red double-decker buses and telephone booths are national icons. 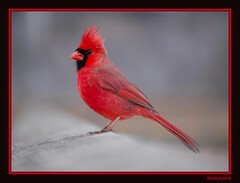 In the Roman Catholic Church, scarlet red robes - are worn by Cardinals as a symbol of their willingness to defend their faith "unto the shedding of (their own) blood." In India as well as China, the traditional color for brides is red. In China, the bride, groom and entire wedding party wear red. The use of red ink for the wedding invitations signifies celebration, good luck and success. In Japan, the land of the rising sun, red is associated with the sun god. Japanese children learn from an early age that the sun is always colored red, unlike our children who usually color it yellow or orange. Cardinal Rule originally uploaded by beesquare. In Russia, red has been the symbol of danger and revolution and is still associated with the Communist party. Trivia Question: The red color of a cooked lobster is actually a carotene pigment that is held in bond. When cooked, this dark green crustacean turns bright red due to a chemical reaction affecting the carotene. Which 20th century painter used the lobster as his symbol, and utilized this color in several of his works? Pink - representing "warmth and loving kindness"
Red - the color of the human heart, symbolizing "passion and deep affection"